A good public relations strategy brings a mix of many different tactics to the table – pitching, active outreach, hosting media and FAMs, attendance at media shows, desksides, and more. But, behind those tactics are two core ways to consider and drive your PR efforts forward, proactive – those leads and media opportunities you seek out, and reactive – those leads that come to you, in the moment, from a third party or source. The ways in which proactive and reactive public relations can work for your tourism organization differ in both tactic and approach. Let’s start by breaking down the difference, and dive into the methods below. You are your organization’s greatest advocate. With proactive public relations, you get to identify and tell the stories that you want to share, the ones that make your destination or attraction unique, compelling, and different. 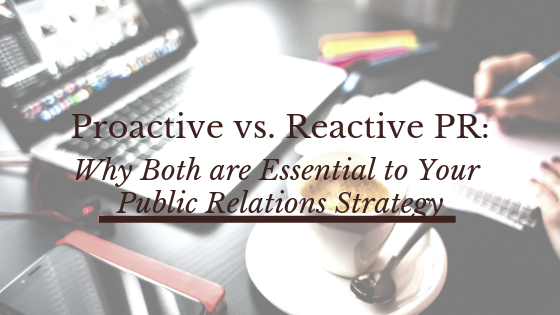 Proactive PR is what most people consider when building a strategy. It’s about active outreach, taking the initiative to get the word out, and finding the right media people and publications to partner and work with. 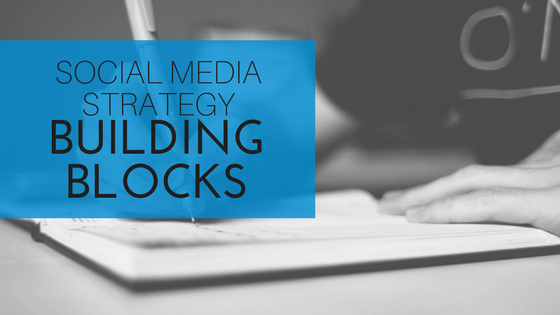 This is frequently the bulk of your proactive outreach strategy and the highest investment of your time. Start by developing media themes and angles that focus around the stories you want to tell, then break them down by month or season depending on their topic, timing, and any holidays or major anniversaries that might be happening that give the topic added value. Once you have your content goals outlined, actively identify a minimum of 5-7 media contacts and publications that might be interested in a particular topic – a food author for a story about BBQ hotspots or a family travel writer to cover a new ropes course, for example. Consider your ask when pitching – what is the action you want the writer to take? Is this is fit for a particular column or section of their website? An interview opportunity? An invitation to schedule a FAM and see the attraction in person? Active and individualized outreach allows you to peak the writer’s interest and develop stories that benefit both publication and destination, mutually. Press releases can be another form of proactive PR, focused around breaking news and timely stories. This could come in the form of an announcement, anniversary, grand opening, or recent development within your organization or destination. Many news stories tend to receive more localized media coverage – but really big or groundbreaking topics can receive national attention as well. Broadcast and newspaper publications are the best fit for this type of story. Media shows and individual deskside appointments are a great way to find new contacts or begin relationships with writers that you may be trying to reach but haven’t worked with in the past. Seek out shows that take place in your target geographic markets or those that boast a list of attendees who work solely in your industry. For desksides, create a target list, email your prospects and determine a date, time and location to meet up. Read our blog “Travel PR: How to Turn Desksides into Destination Guides” for a how-to on setting up and maximizing deskside appointments. With reactive public relations, it’s less about seeking the leads and more about responding in the appropriate manner to opportunities and situations that come your way. It can come with a bad connotation, traditionally considered a “sit back and wait” kind of approach. But a good reactive strategy does take work, consideration, and preparation. You have to know who the right people are within your organization to respond quickly to certain leads, what your key messaging is, and how to properly position yourself as an expert in the moment. Seeking out and developing good partnerships is the quickest way to bring new leads and media opportunities to your organization. This can be with your local tourism organization, a greater regional organization, or even the entity that promotes travel statewide. Other partnerships could come from your top attractions, nearby DMOs, or through niche collaborative programs that are a fit for your destination. Partnerships are a great way for your brand or destination to find its way into a larger overall brand and story – which can mean bigger publications and features that you may not have been able to field alone. They also provide a chance for more pitches and greater outreach, as you will have multiple people and programs focused on telling your story. Subscribing to a lead monitoring service is a good way to keep abreast of trends taking place nationwide or find topics that you may not have considered in your proactive outreach. A service like HARO (Help a Reporter Out) sends emails three times a day with story topics and leads that are currently in progress. Finding opportunities to fit into a larger narrative or position yourself as an expert source can help build relationships with new writers and reach audiences that you might not otherwise be touching. These leads move fast however – often with a 1-3 day turnaround at most – so monitoring frequently and responding quickly is key. Your past contacts may also come back to you, in the form of new requests or return visitation to your destination. Curating a media list is an ongoing endeavor – it’s never a one and done type of relationship. Even if you’ve hosted a writer or appeared in their publication in the past, don’t discount the power of repeat coverage. Keep the relationship strong by responding quickly and offering information, interviews, images, etc. With past media contacts you also have the benefit of understanding how they work and what their needs are. And they are likely returning to you because of past successes – there is a level of trust established on both sides. This trust could open the door for more candid conversations – and opportunities to discuss additional angles and get coverage more easily for the stories you deem a priority. As you continue to build your brand (proactively) and establish yourself in a given industry, more leads will inevitably come to you (reactively) to get your input and opinion as an expert source within your field. The combination of both is what leads to success – building awareness, garnering interest, and ultimately driving customers and visitation to your destination.